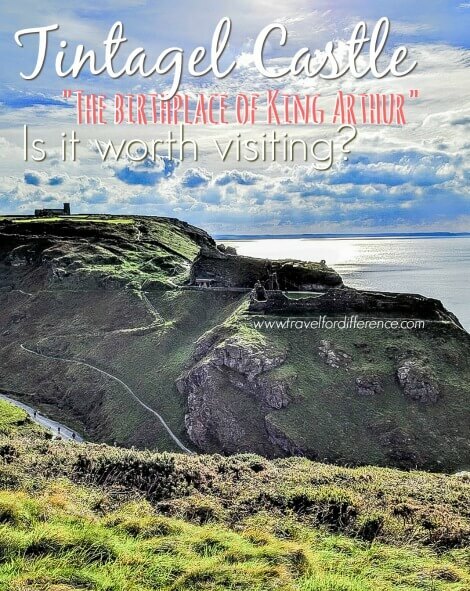 TINTAGEL CASTLE, “THE BIRTHPLACE OF KING ARTHUR” – IS IT WORTH VISITING? In a post about the UK a few months ago, the spellbinding world of Hogwarts was highlighted in an article sharing the gorgeous attractions in the Harry Potter Studios. Now, check out another story of myth and magic – this time with closer ties to real history. The Arthurian legends have been around for centuries. Tales about the kingdom of Camelot and the characters linked to it have sparked both inspiration and intrigue. 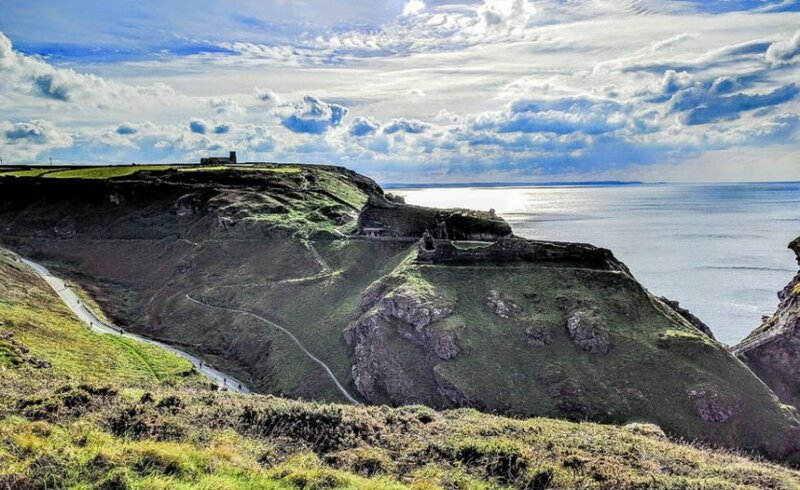 Tintagel Castle has a wonderful location, as it stands on a peninsula separated from the mainland by a narrow strip of rocky ground, and on its opposite side it faces the mighty Atlantic. Imagine living in a castle with breathtaking views of the Atlantic – a view for royalty, for sure. As it turns out, it’s possible that the castle was the residence of the rulers of Cornwall during the Early Middle Ages. Visit Cornwall relayed that around the 1200s, Richard; the Earl of Cornwall built his castle on the site. Curiously, Richard chose to build on the site mainly due to its connection with King Arthur. At the time when it was still inhabited, the castle complex encompasses a huge area, with several parts including its own chapel, garden and a viewing platform. Today, these can only be seen through interactive maps and re-plotted floor plans, but it’s still amazing to imagine how Tintagel Castle would have looked in all its former glory. The only modern attraction the site has, apart from its historic appeal, is a rock carving of the famous wizard, Merlin which greets tourists as they enter the site. It’s near the mouth of Merlin’s cave, which was allegedly where the infant Arthur was sheltered by the wizard for his own safety. 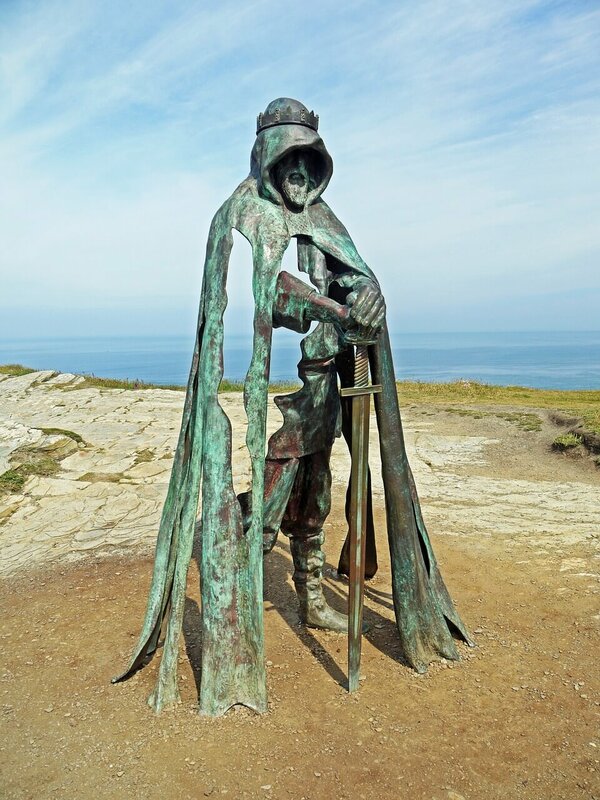 Elsewhere in the area, an old bronze sculpture of King Arthur is also standing, clutching his famous sword Excalibur. At this point you might still be asking yourself: Why is this place so heavily linked to King Arthur? 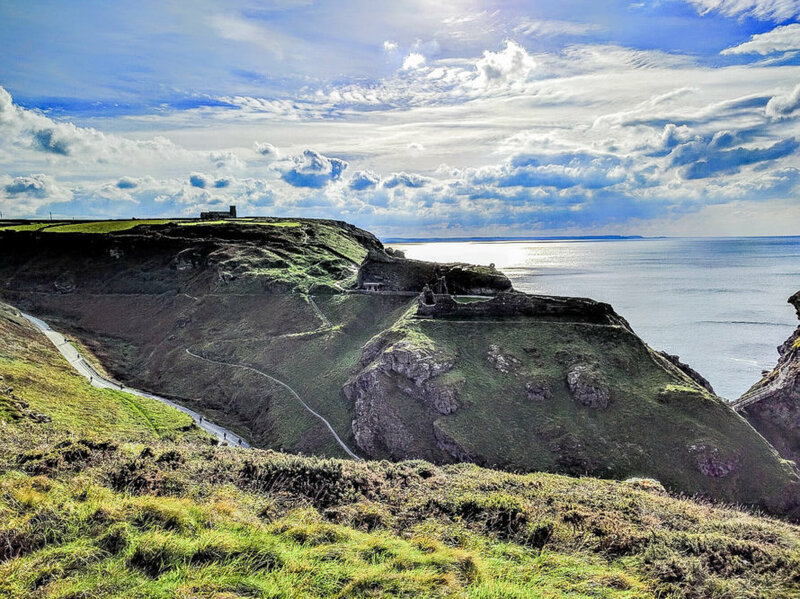 Well, for starters, Tintagel Castle was associated with the legendary king all throughout its lifetime due to its importance to the actual kings of the region. Seeing as most of the rulers made the castle their stronghold, it’s obvious to make a connection that King Arthur would have made the same choice if he indeed existed at this time. The association was further intensified after the discovery of artefacts at the site including a slate engraved with the name ‘Artognou’, which for many is a variation of the name Arthur. The Independent specified that other names from Arthurian legends were also seen on numerous ancient relics from the site. According to the BBC, a ‘royal seat’ was recently unearthed at the site, which corroborates the claim that the leaders of Cornwall made the castle their home. Evidence seems to be piling up which strengthens Tintagel’s connection to the old kings. Whether the legends will turn out to be real or not, one thing’s for sure: tales about King Arthur and the Knights of the Round Table will continue to mesmerise people from all over the world. He has had such a massive impact that many other works aside from literary forms have sprouted up in recent times. Numerous movies have been made which revolve around King Arthur, the most recent of which is the upcoming Guy Ritchie film King Arthur: Legend of the Sword which Den of Geek mentioned as having a summer release. Video games have also taken in the popularity of the stories. Amongst the wide array of thematic games on Spin Genie for instance, is a slot game entitled Lancelot, in which players take on the role of the knight, arguably the Round Table’s most famous swordsmen. Arthurian legends have been engraved in the minds of many, and will continue to captivate generations to come. As for Tintagel Castle, it’s a spectacular site, regardless of its association with the King or not. Given the factual and historical records tied to the place, it’s almost certain that it was indeed the birthplace of real kings. If you plan on visiting Cornwall sometime soon, be sure not to miss this majestic and magical destination. It’s too beautiful to ignore. After graduating from university, Luke Wilson made it his lifelong dream to travel the world. Starting locally, he has travelled to various destinations around the UK and plans to cross the Channel soon towards mainland Europe. I love investigating historic places, and when they’ve got famous legends attatched to them it only makes them more awesome! This looks like amazing place to visit, I hope to get there myself one day. I totally agree Alice! You should definitely plan a trip there, especially when you’re at home in the UK ? ?